Hello there wonderful blog readers! I know it has been awhile – I apologize for the extended hiatus. It was completely unintended, but a series of life and health events have kept me from sitting down at a computer to share with you more from my world of food. 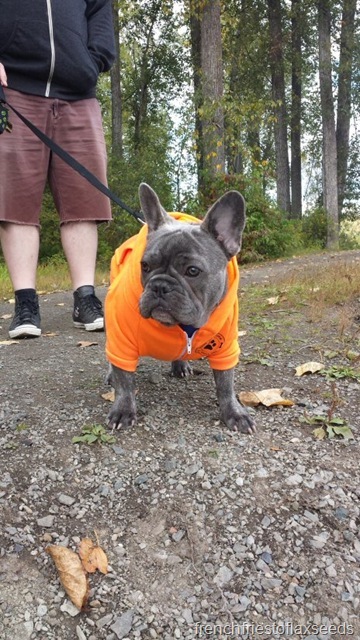 Don’t worry – nothing too serious happened! As much as I wanted to continue on with the blog throughout the summer, it really was in my best interest to take some time away. I hope you all understand, and are willing to continue on with me now. I have so many cookbooks, recipes, and other foodie tidbits that have piled up that I want to share! Fortunately, I’ve had this little dude to keep me company! I’m going to start with a post that kind of ties in to my absence. You see, I recently had a sinus infection, resulting in antibiotic treatment that left my system all out of sorts. Antibiotics are great for getting rid of what ails you (when appropriate), but they also tend to get rid of all the good stuff as well. That’s where probiotics and fermented foods – like kombucha – come in to save the day! Way back last summer I shared with you the beginnings of my kombucha making experiences, and they have been going strong since then. I have even managed to keep my SCOBY alive and healthy all this time, which I consider a small miracle, given the yearly fruit fly infestation that always seems to happen in my kitchen. I’ve tried out countless flavour combinations, utilizing whatever seasonal fruits I might have kicking around the flavour my tart tea. I’ve mainly stuck to using green tea as my tea of choice, but one day had the bright idea of branching out into my tea collection. 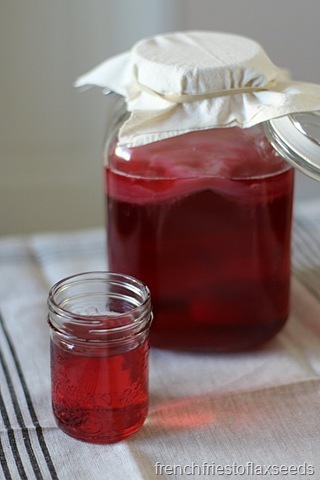 I’ve always liked iced hibiscus tea, and thought hey, why not make a hibiscus kombucha. I considered using only the herbal tea, but was unsure if it would keep the SCOBY happy, so I went with a blend of green tea and hibiscus. Not only did it turn out a lively shade of magenta, it tasted just how I wanted it – a little tart, a little floral, and very refreshing. I enjoyed it plain, and also with some lemon slices thrown in. I tried to save a batch that I over fermented with some oranges and strawberries, but it was a futile effort. I still think that would be a nice flavour combo though! I love the way it looks as the hibiscus tea slowly steeps in the sun! 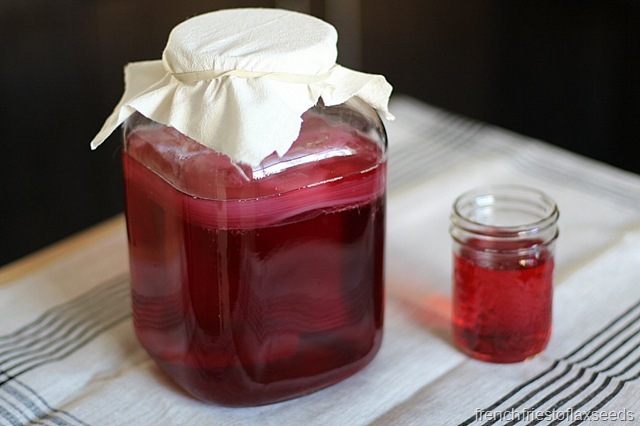 One thing to keep in mind if you do use something like hibiscus with your SCOBY – it will take on some of that pink colour. I don’t see this as a big issue for further fermentations with green tea again, but you could always put a piece aside if you are worried. 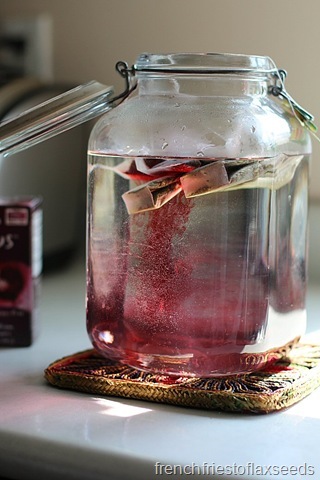 Jazz up your regular old kombucha with some hibiscus tea. Not only does it taste great, but it’s pretty too! Again, I apologize for my silent absence, but know that it really was helpful for my mental health and wellbeing. Bear with me as get back into the swing of things (especially since I’m also in the midst of a move). I’m excited to blog again, and to hopefully bring you some new and exciting things as move through to 2016. I just enjoyed some hibiscus a few days ago, I rotate my teas, lol. 🙂 This sounds like a great combo, very healing.